Why? Because doctors know it’s best to find a surgeon who has performed thousands of successful surgeries like the one they need. Dr. Siepser has now has performed more than 15,000 LASIK surgeries, as well as more than 16,000 cataract surgeries. For decades, he has also been the surgeon other surgeons refer their hardest cases to. That’s why more than 300 doctors in the area—including many eye doctors—choose Dr. Siepser for themselves and their families. Dr. Siepser works with many opthalmic companies to develop innovative vision correction devices and procedures. He has 7 patents of his own, and has contributed to many other products. He was the first FDA-approved laser vision surgeon in the Delaware Valley. When ophthalmic companies introduce new products, they want to ensure the best results. So they choose just a few surgeons with the very best records and highest levels of skill for initial release of their products. Dr. Siepser has been on this select list for more than a dozen product launches. Dr. Siepser is also the surgeon you need to see if you’re over 40. As we age, our eyes develop a number of different challenges. Dr. Siepser can help you regain clearer vision and eliminate readers. He has literally performed tens of thousands of cataract surgeries over the years, now with new technologies that offer astounding outcomes. Even if you have thinner corneas, astigmatism, or other challenges, you may be a candidate for Dr. Siepser’s modern, advanced procedures. 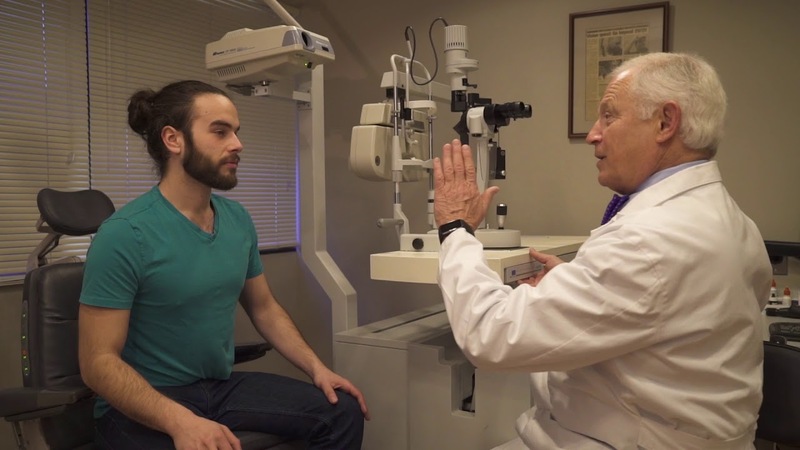 Patients with these conditions can often be successfully corrected and enjoy clear vision, and Dr. Siepser has helped thousands of people like you to see clearly again. Dr. Siepser is thrilled by every new opportunity to improve someone’s vision, and uses his decades of experience to find the absolute best solution for each individual eye. If you’re not in love with your vision today, make an appointment now. Dr. Siepser is able to actually solve many vision problems that other doctors can’t or won’t address, including LASIK surgery for people with thinner corneas, astigmatism, and other challenges. He specializes in helping patients with a range of problems, including glaucoma and cataracts, as well as helping many reduce or eliminate the need for reading glasses. Constantly practicing, learning, and expanding his knowledge, Dr. Siepser now offers truly customized vision correction for even difficult and complicated vision challenges.